Could This Digital Math Tool Change Instruction For the Better? Math instruction can be the most resistant to changes in pedagogy -- even schools that have had success with project-based learning or inquiry-centered approaches can struggle to teach math in ways that help students understand the rich connections and complexity of the subject. That’s why some educators are excited to see Desmos -- an ed-tech product best known for offering an online graphing calculator -- adding features that promote inquiry. Recently, Desmos has been building out its platform to offer customizable lessons. Led by Chief Academic Officer Dan Meyer, a former math teacher who left the classroom to pursue a PhD in math education, Desmos has been using its platform to model how technology could change pedagogy. Desmos tries to harness the social nature of online interactions into meaningful math inquiry. Meyer says students love the internet because it’s a social place to share and create. And, a math classroom at its best is also a place where students are creating hypotheses, testing their thinking, critiquing each other’s work and discussing how and why mathematical laws work. “Typically, online math platforms have no concept of the student in relationship to other students,” Meyer said in reference to “personalized” programs where students work through a set of problems or concepts “at their own pace,” but do so in a vacuum. Meyer argues this model doesn’t capture what’s powerful about a class full of students. 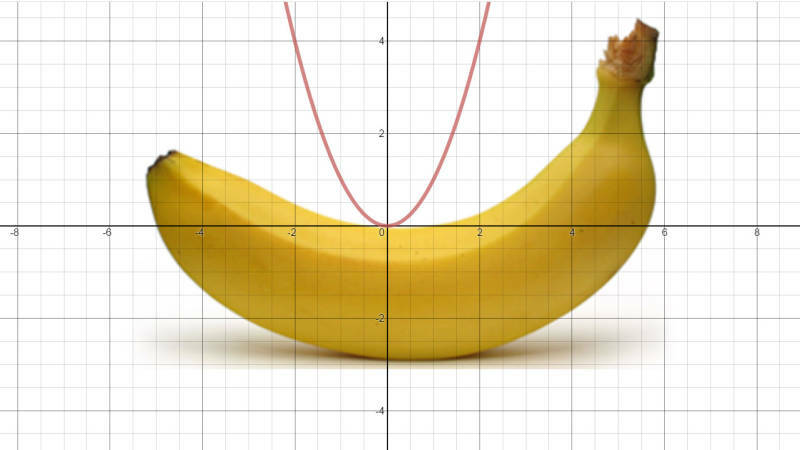 In contrast, Desmos allows teachers to make a series of slides with interactive elements. One slide might have a video of a glass filling with water, with a question asking students to graph it. When a student submits his graph, a Desmos default function then shows the student three other student answers and asks him to give feedback on the solutions. Teachers can shut off this function, but Desmos intentionally made it a default to encourage discussion. “Our core assumption is that students need to be aware that there are other students in the class, and that refining process is part of every math lesson,” Meyer said. Teachers could also have students create their own glass filling at a specific rate and ask them to graph that. Or, maybe each student submits the problem they devised for other students to work on. Teachers can also display all the solutions, with or without student names, and ask the class to analyze each other’s strategies. HOW ARE TEACHERS USING DESMOS? Middle school math teacher Cathy Yenca started using Desmos when her district discovered the graphing calculator tool was going to be integrated on state tests in Texas, where she teaches. Wanting her students to be familiar with the tool, she started experimenting with it in the classroom and it has now become an instructional “necessity.” Yenca works at Hill Country Middle School, a public school in Austin. Her students all have iPads and Yenca is passionate about the power of tech in learning, but she hasn’t liked a lot of what’s out there for math specifically. “When you come across something that’s not just skill, drill, kill, and is kinda rich, it gets your attention,” she said. She uses Desmos because it makes inquiry in math class easy. For example, in one recent lesson with her algebra one students, Yenca was teaching transformations in quadratic functions. But she didn’t tell students that’s what they were studying. Instead, she set up a task where through exploration they were telling her the lesson by the end of class. “Watching how they change a parameter and that instant feedback of what they just changed and how that impacts a graph, they’re hooked,” Yenca said. “When you have that reaction from middle schoolers around math, that’s a win.” She sees how peers influence one another’s thinking, and that even if not every student is on the right track the whole time, they are figuring it out together. Yenca often takes a moment to show the whole class everyone else’s answers. This overlay would typically be what a teacher would use for formative assessment, to check for understanding, but Yenca said, “to me, keeping that for the teacher’s eyes only is a disservice.” She says learning this way requires building a classroom culture that values mistake making, but once that’s in place, so much rich learning comes out of students being able to see the trends in misperceptions. Together they discuss and untangle thinking until they’ve arrived at the math concept. In a lesson with her eighth-graders on shapes in the coordinate plan, Yenca had students creating reflections and dilations on a Desmos graph. “Desmos is only going to do what you tell it to do, so if it does something you didn’t expect, you’ve got to figure it out,” Yenca said. Her students manipulate the variables and gradually come to an understanding. Yenca says some of her colleagues think Desmos does too much for students, making graphing too easy. She says if rote graphing is the goal, then yes, Desmos does too much, but wonders if that’s the right goal. “If we are concerned that a graphing tool can graph for our kids, maybe we need to ask more of our kids,” Yenca said. While Desmos is trying to make it easier for math teachers to incorporate these elements into classrooms, the platform doesn’t force the issue. The tool is completely open; teachers shape their own lessons within it, and could easily make something that looks essentially like a worksheet. Audrey McLaren teaches at a virtual school in Quebec. Her classes are all completely online, although they happen in real time, with students participating as they would in a brick-and-mortar classroom. Most of McLaren’s students live in rural places and their local schools don’t offer the courses she’s teaching in English. “We’re not in the same physical space as our students,” McLaren said, “so we couldn’t see what they were doing until Desmos activity builder came along.” Now, she can pose a problem to students and then watch as each student tries to solve it. She can look at the class as a whole or zoom in and interact one-on-one with a student. McLaren thinks students are participating more than they would be in a normal class because every student has to do the work and share their thinking, whereas in a typical classroom (where she taught for 20 years) only about 10 percent of students raise their hands and participate in discussions. “I try to design things so that after three to four slides, or questions, I stop everybody and within the online environment we put everything up on the board, classify the findings, and talk about which ones they agree with and why,” McLaren said. She uses the early slides to let students have a discovery period, where they’re playing with a concept, developing hypotheses and looking for patterns. “I want them to get an intuitive sense of what I want them to know; I don’t want to just tell them,” McLaren said. She appreciates how Desmos will put forward a new kind of activity, let teachers play with it, and then open the tool so educators can build something similar. For example, Desmos has a few math “games,” but unlike many games that are basically practice with a prize at the end, the Desmos games make math knowledge central to completing the task. In a Polygraph, for example, a pair of students might be given 16 graphs that all look different, but are all linear functions. One student chooses a graph and her partner has to guess which graph has been chosen by asking “yes” or “no” questions, a bit like the game Battleship. Students have to use math vocabulary and knowledge of terms like slope and y-intercepts to eliminate various graphs and zero-in on the correct choice. “You learn math from playing the game itself,” McLaren said. At first Desmos created these Polygraph lessons around different common curricular topics, but now they’ve opened it up so teachers can make their own. She often uses Desmos in class as a way to explore a concept and then has her students watch a video at home to nail down the concept. But she also uses Desmos to deepen understanding in the middle of a lesson and as formative assessment at the end as well. Since she’s been using the Desmos activity builder for only a few months, McLaren doesn’t have any data to prove that teaching this way is improving math achievement. But anecdotally she’s confident it has increased participation, which should increase understanding, and she’s been impressed at how her students are discussing and writing about math with one another. In Bob Lochel’s Advanced Placement statistics classroom, getting technology to each student is a challenge. Even though he teaches in an affluent suburb of Philadelphia, his students don’t have one-to-one access and booking a computer lab can be a pain. So often Lochel relies on his students’ personal devices for access to Desmos. He’ll ask students to complete a few questions and then, like McLaren and Yenca, he often projects multiple student answers on the board as a jumping-off point for a discussion. Student are critiquing one another’s thinking. “That’s not the kind of thing we were asking before,” Lochel said. One of his favorite parts of using Desmos is the community of math teachers that comes with it. Every educator spoke about the collaborative community of teachers sharing ideas using the hashtag #MTBoS. Many of the active educators in this community also write their own blogs, where they track the success and challenges of different lessons. Teachers can upload their lessons to Desmos as well, making it easy to find and use all or part of another teacher’s work for their own purposes. Lochel said often if he’s putting together a lesson and isn’t quite sure if it’s reaching the mark, he’ll put it out to the community for feedback. Just like developing all good lessons, Lochel said it can be tricky to design a Desmos activity that both allows students to be creative and inspired, but also drives towards the ultimate goal for the class period. He appreciates the virtual community of educators that are helping him refine this skill. Lochel said when a lesson successfully allows students to arrive at their own conclusions, like the one he did on binomial distribution and how it’s linked to normal distribution, students understand in a much deeper way. Instead of telling them the rule, "this time they discovered the rule,” he said. And the buy-in that creating the rule engendered meant that they could also debunk the rule. Desmos employees like Meyer, for their part, are constantly working with teachers to improve what the platform offers, while balancing a desire to seed good teaching practices. Meyer said while thousands of teacher lessons have been uploaded to Desmos, only a fraction are available through the search tool. Those are the lessons that he and his educator team have hand-polished, reaching out to the original author for permission, and re-releasing. He also looks at a random sample of teacher-created lessons every week and believes the quality has gone up over time. The best part of Desmos for many educators, whether they are using it only for its graphing calculator capabilities or for these more involved, inquiry-based lessons, is that it’s free. That’s possible because Desmos licenses its calculator tool to curriculum and testing companies. The fees from that work fund the curriculum development and training work that Meyer does. He’s hopeful that before too long he and his team, in cooperation with teachers around the globe, will have developed what amounts to an Algebra I curriculum designed entirely out of low-floor, high-ceiling Web-based tasks like the ones described in this article.